rideTYRANT.com: Swine Flu? Bird Flu? The Plague? Swine Flu? Bird Flu? The Plague? Wow, I went from riding the past 9 days straight to the opposite end of the spectrum...sick as a dog on my couch. I guess if you want to play, you gotta pay. I totally kicked my own a$$ the past week riding my face off 2+ hours daily. I don't know what I have, but I feel like death! 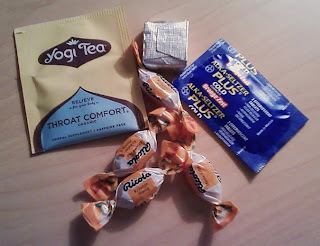 The past 3 days have been nothing but vegan bouillon, organic tea, cough drops, and cold medicine. UGH!